Oxford University Press (the world’s largest university press, known for “excellence, tradition and innovation”) has asked me to do a book of interviews with well-known and celebrated opera singers on the art of singing. This book, Master Singers: Advice from the Stage, is an exciting opportunity to provide singers with invaluable insights from great artists. The book has been co-written with Lucy Mauro. The book was published in February 2015 and appears both in print and on line. In Master Singers: Advice from the Stage, Donald George with Lucy Mauro interview twenty-one of today’s top international opera singers. With questions centered on what must be done to perform on the major stages of the world, the artists offer practical and concise advice on a variety of performance-related topics. Six chapters, “On the Craft of Singing,” “On the Operatic Stage,” “On the Concert and Recital Stage,” “On Maintaining a Career,” “On Teaching and Studying,” and “Extras from the Experts,” cover questions on vocal technique, role preparation, recording, recital work, memorization, acting, performance anxiety, and more. The artists interviewed are Stephanie Blythe, Lawrence Brownlee, Nicole Cabell, Joseph Calleja, David Daniels, Joyce DiDonato, Christine Goerke, Denyce Graves, Greer Grimsley, Thomas Hampson, Alan Held,Jonas Kaufmann, Simon Keenlyside, Kathleen Kim, Ana María Martínez, Lisette Oropesa, Eric Owens, Dimitri Pittas, Ewa Podleś, Jennifer Rowley, and Gerhard Siegel, with a forward by Brian Zeger, Artist Director of the Metropolitan Lindemann Program for young singers. Master Singers: Advice from the Stage is a must-have reference for the vocal student, voice teacher, and emerging professional singer. Opera fans will also find the book engaging, as it offers behind-the-scenes insights into the thoughts and craft of today’s top artists. Operatic and concert lyric tenor Donald George has performed at the famous La Scala, in Milan, Italy, the Opéra Bastille, Théâtre Champs Élysée and Théâtre du Châtelet in Paris, Royal Opéra of Brussels, Kennedy Center in Washington, D.C., the State Operas of Berlin, Hamburg and Vienna, the Liceu in Barcelona, the Fenice in Venice, the Teatro Colón in Buenos Aires, and the Festivals of Salzburg, Donesk (Ukraine), Santa Fe (USA), Jerusalem (Israel), Istanbul, Perth (Australia), and Blossom USA. He has sung with conductors Leonard Bernstein, Kurt Masur, Yehudi Menuhin, Jeffry Tate, Vladimir Jurowski, and Simone Young. He has worked, for example, with prominent stage directors such as Oscar winner John Schlesinger, Festival de Cannes participant Mario Martone, Kyoto Prize winner William Kenntridge, John Dew, Bayreuth Ring director Harry Kupfer or Laurence Olivier Prize winner Yannis Kokkos. 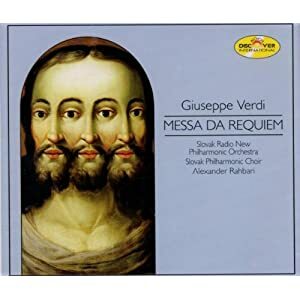 Reviews of Donald George speak of his “pleasing tenor sound, vocally reliable in all challenges” (Verdi Requiem- Metropolitan Opera News), “A success for La Scala all possess a superb technique, and are consummate actors…including Donald George” (Peter Grimes- Corriere della Sera ), "Donald George provides Candide with a supple, beautiful toned lyricism-His Lament is one of the highlights of the performance" (Candide-Münchner Merkur – Munich, Germany a DVD was made from this performance of Candide) Donald George is also part of the performance group DuoDrama (DuoDrama.net) with pianist Lucy Mauro. They perform concerts, multi-media Liederabend, lecture recitals and Masterclasses in addition to recording, receiving reviews such as: “the performances were stellar” (Unfeigned Coffee Fiend, Bill Boone), “A wonderful ensemble and totally engaging” (MTNA National Conference). 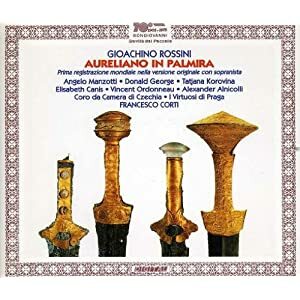 Donald George has recorded for Sony, Delos, Naxos, Phillips Classic, Teldec, Discover International, and Bavarain Radio, among others, including Mendelssohn's Elijah, Verdi's Requiem and Rossini's Aureliano in Palmira and Le Nozze di Teti e Peleo (the world premiere recording). His recording of Schubert's Die Schoene Muellerin was described as "An absolute must." (Music Mosaic). 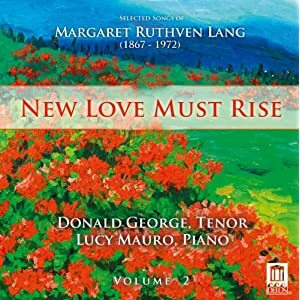 The latest CDs of Donald and Lucy are a two-volume set of the songs of the forgotten American composer Margaret Ruthven Lang. 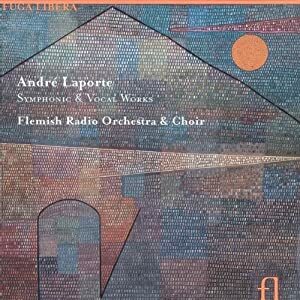 Donald has researched this once prominent composer and presents 50 of her most beautiful songs. 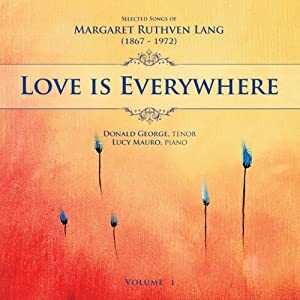 The CD, LOVE IS EVERYWHERE was released by Delos in January 2011 and includes a companion CD-R of the scores and informative material, making these songs available for the first time since their original publication. 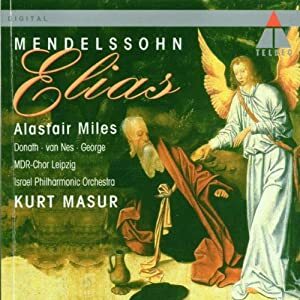 This CD was selected for the second round of Grammy nominations and also selected as Recording of the Year 2011 by MusicWeb International. Volume II NEW LOVE MUST RISE appeared to much acclaim in February 2012. Other CD projects of DuoDrama with Lucy Mauro and Delos International are the songs of Mathilde von Kralik, the music of Irish composer Mary McAuliffe with various choral and vocal works, and the collected choral works of Margaret Ruthven Lang entitled From the Heart of Me being recorded at The Crane School of Music. Donald George, is currently a full Professor at The Crane School of Music, SUNY Potsdam, Honored Professor with Shenyang (China) Conservatory and was Guest Artist at West Virginia University. He is the recipient of the 2014 SUNY Potsdam Presidential Award for Research and Creativity, in addition to the Award for Research Mentorship from The Center for Student Research. He is in the Music Hall of Fame of Southeastern Louisiana University and the 2011 Alum of the Year. He was appointed an honorary Colonel in Louisiana for noteworthy achievements and the Louisiana State Legislature presented with honors. He is also a member of the Pi Kappa Lambda National Music Honor Society. His students appear consistently in leading opera roles at Crane and have appeared with the Lake George Festival, Stephanie Blythe’s Fall Island Festival, Utah Festival Opera, Glimmerglass Festival, Kentucky Opera, Owensboro and Lafayette symphony orchestras as well as first places at MTNA, NATS, Classical Singer and the Civic Morning Musical Competition in Syracuse, along with other national and international venues. In Europe his students sing with the Pfaltztheater Kaiserslautern, Theater am Potsdamer Platz (Berlin), Theater an der Wien (Vienna), Gärtnerplatz Theater (Munich), Opera Graz (Austria) St. Gallen (Switzerland)Theater Dortmund (Germany), Grenzlandtheater Aachen (Germany)and other venues. His student research projects while at The Crane School of Music have been selected from over 3,500 applicants for three National Council of Undergraduate Research conferences. (NCUR) Additionally he consistently has students awarded the Kilmer Undergraduate Research Awards at Potsdam. 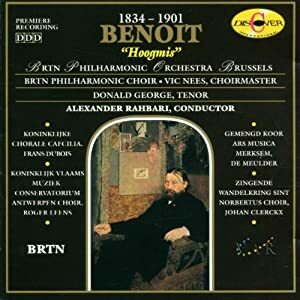 He is presently preparing a performance of the complete songs of Nadia Boulanger, the famous pedagogue who was also a guest at The Crane School of Music on four occasions. With students of Crane he has obtained copies of the manuscripts from the Boulanger Foundation of Paris, which have been transcribed for performance. This performance will take place in December 2015 at the Musikhochschule München with Donald George and Professors Christiane Iwen and Michelle Breedt singing and Professor Donald Sulzen at the piano. Highlights of the 2015-16 performance seasons for Donald include Carmina Burana with the Rhode Island Philharmonic under Maestro Larry Rachleff. 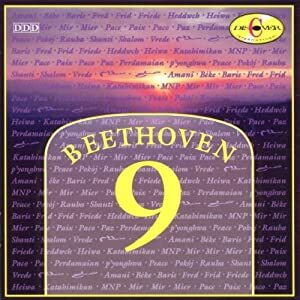 Carmina Burana with the Grand Rapids Philharmonic, The Beethoven 9th with the Rhode Island Philharmonic, a recital at the Munich Hochschule with Christiane Iven, soprano and Michelle Breedt, mezzosoprano and Donald Sulzen, piano of the complete songs of Nadia Boulanger (1887-1979). His recording of the music of Mary McAuliffe appears summer 2015 and is intitled "Return to Old Ireland". Donald is married to the former Evelyn Edwards from Hammond, Louisiana, who is a music teacher at the Munich International School in Starnberg, Germany. Her choirs have performed with Celine Dion, Cher, and David Hasselhof and recorded with other prominent musicians. They have two daughters, Kelly and Meggie George, who is also a singer and song writer.